You don’t know me, but I’ve always had respect for you. The comments you made about Dale Earnhardt Jr. really upset me. Not as a ”crazy” Jr fan, but as someone with a deeper level of understanding and admiration of Earnhardt Jr. I wasn’t a fan of his because of his dad. In fact, I disliked Jr. I hated that bleached blonde hair he had going on. At the time, I was 8 or 9. Dale Sr. was my hero. He was the whole reason I liked the sport of NASCAR. I grew up in a Jeff Gordon house; I was the lone wolf, the oddball for liking Dale Earnhardt. My first NASCAR race was the 1998 Daytona 500. Watching Dale Earnhardt win his first Daytona 500 was magical for me. From that day on, Dale Earnhardt was my favorite, despite my family being Gordon fans. In 2001, when he died I refused to ever watch a single NASCAR race again. I didn’t watch no matter how hard my family tried to get me to root for Earnhardt Jr. I refused. I didn’t want to get attached or call another driver my hero. Flash forward to 2007. I was 14, getting ready for high school and being a normal teen, when my dad died. That tore me up inside; the pain I felt losing my dad was terrible. I was lost in the world. I didn’t know what to do. Someone very close to me gave me the book “Driver #8." They told me to read it to see what I felt. Reading that book changed my life. Reading that book made me an Earnhardt Jr. fan. Learning about rookie Dale Jr. was deep; it made me like him on a different level. My all-time favorite moment in the book was the epilogue, when Jr. talks about his win at Daytona six months after the death of his father and how he felt he was there. From time to time, I'll crack open "Driver #8" just to read that part. Reading that book didn’t get me over my father’s death, but it sure helped me to cope and become a person again. You know what else happened? I started watching NASCAR again, and yes, I became a huge Dale Earnhardt Jr. fan to the max. I was happy again. Sundays had purpose again. 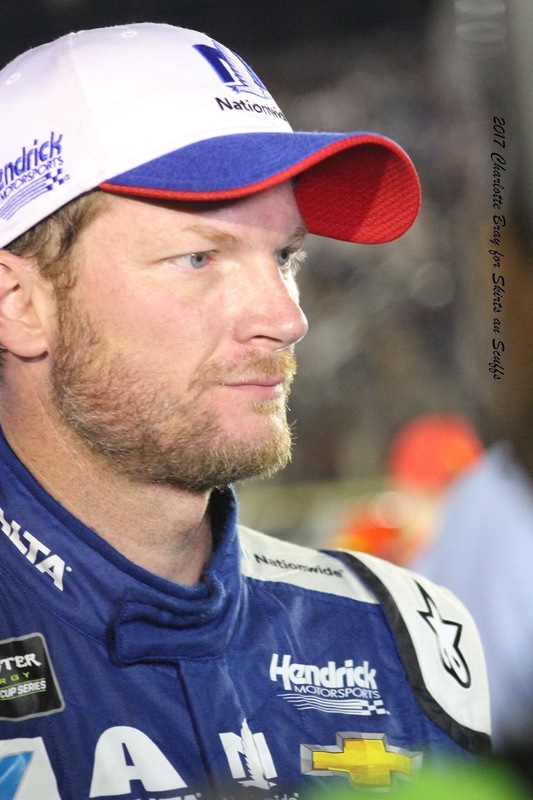 Your comments that Dale Jr. has stunted the sport's growth - that he isn’t the most successful - hurt. It upset me because for me, success isn't always measured by wins. While he may not have won the championships that everyone expected, he has had a monumental impact on thousands of fans, myself included. You want to know my honest opinion on why Dale Earnhardt Jr. is the most popular driver in NASCAR? His heart. He has the biggest heart, and his actions on and off the track prove why he is a fan favorite. He could have turned his fame into a whole different direction, but instead he’s stayed humble. Being a Jr. fan has never been easy. You had good days and you had bad days. But those bad days didn’t matter because you had a driver that never gave up. You had a driver who would race his heart out. While I’m still sad that he’s retiring, I’ll always be a fan. Even though you said some hurtful things about my driver, I'll always respect you, and who knows what next season will bring. Maybe I'll get me some Harvick gear. Only time can tell, right? Unbelievably stupid comments from Harvick. They were like kicking the Pope in the nuts. 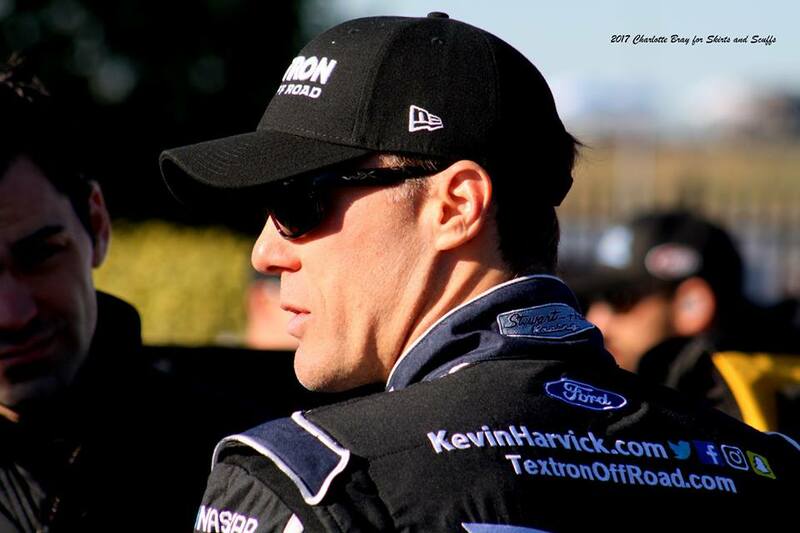 Expect huge booing every time Harvick's name is introduced at the beginning of races from now on. Older drivers such as Harvick are rapidly being replaced by younger, cheaper drivers and his comments will not help him retain a ride down the road. When I was 37 I lost my husband in the split of a second. He was 39, leaving behind 3 boys 16, 12, 11 and a 9 year old little girl. On so many levels I can relate to how and what Jr must have been going through, the only difference being my husband his dad. The opportunity to say I love you just one more time was taken away without any choice. There are a lot of emotions that you have to keep in check because you must continue on. He handled his loss with grace and kept his composure in tact, while in private he was most likely very confused. Yes Jr was voted most popular, with that being said totally different than MVP. His success is just that, his, no one else's. f the sport. Times are changing, money is tight, the baby boomers are getting older, the new generation are tech savvy and it's hard to keep their attention. Jr is Loved by the people for who he is. Dale, Jr., might have had only moderate success on the race track...but he's enormously successful in how to live one's life. Wow, that's a great letter. That's some deep stuff, and I don't even watch NASCAR.